Moving to California per God’s direction was the best move Khadesia Hill had ever made. She is the wife of the debonair Assistant Pastor, Malcolm Hill, youngest son and first choice to succeed his father as pastor of the mega church, Solid Rock Christian Ministries. God, a stable marriage, and their daughter, have made her life complete. Suddenly, everything changes when an unwanted stranger visits her business. The detective claims to have evidence implicating Khadesia to the murder of her ex-boyfriend in her hometown years prior. When the gossip spreads not only in the church community, but to Malcolm’s entire family, Khadesia finds her perfect reputation has become tarnished. Her loyalty, honesty, and life are all hanging in the balance as calamities from all sides close in. Competition, strife, and jealousy abound as her sister-in-law, Stacie, connives to win Malcolm’s brother, Corbin, their father’s pastoral position. Stacie’s friend Maxie’s attraction to Malcolm’s good graces leads to a distraction during a vulnerable stage in his life and marriage. Will the Hills’ faith and marriage survive the onslaught? Will Khadasia’s reputation be redeemed? 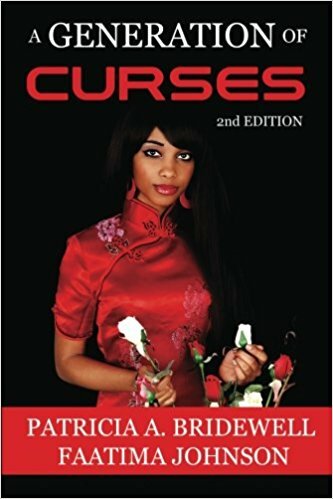 Tell us what do you think about A Generation of Curses - Second Edition.